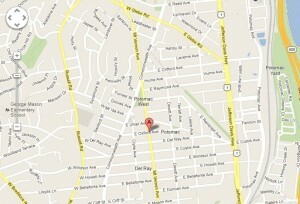 1) The show is located along Mount Vernon Ave in the Del Ray neighborhood. Mount Vernon is closed to traffic during the show. There are about 250-300 vendors all together. The show seems to be organized by the Del Ray Business Association, particularly by the co-owner of a nifty local consignment store called A Show of Hands. 3) Quality of merchandise is average, above average and below average. While there are a couple of very high level vendors, there are also a few with very low quality products. So, judging/selecting process for the show seems unclear. Prices range from $5 to about $800, although, as I said earlier, we didn’t get a chance to see absolutely all vendors. 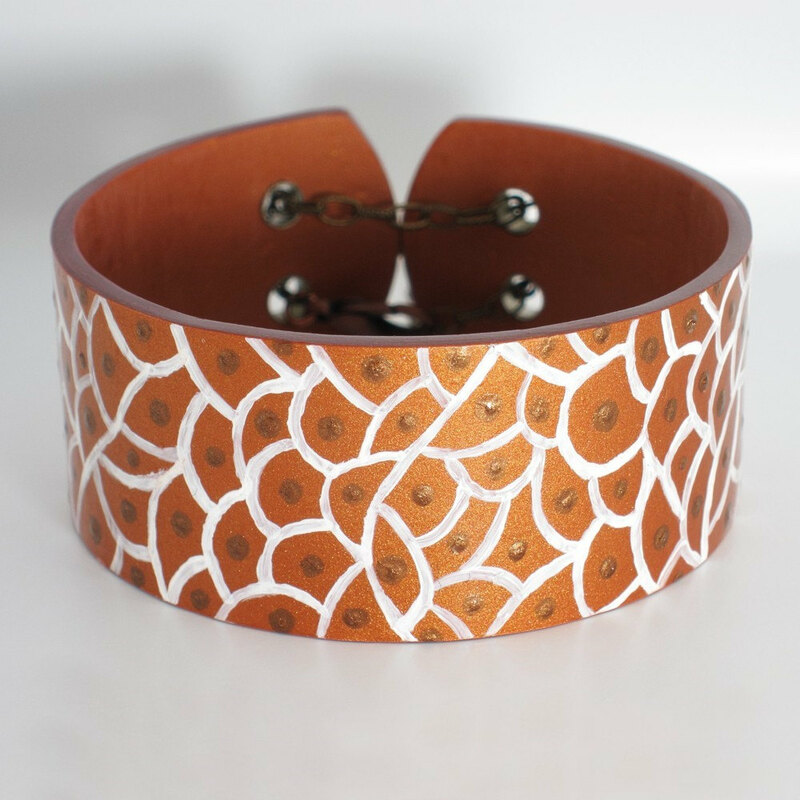 4) While some of the vendors aren’t very approachable and prefer to keep to themselves, there are also many of those who are very friendly, professional, and easy going, especially sellers of higher end jewelry, home decor, and small items, such as soaps. 5) There are a lot of visitors at the show, but not so many actual customers. As I am mostly interested in jewelry (as always 🙂 ), this is what I’m looking at the most. Jewelry sold is of all levels. I don’t see any gold/platinum/diamond jewelry, but there is a very decent selection of sterling and fine silver – with stones and/or enamel. There are a couple of polymer clay artists, selling mostly jewelry, small figurines, and small home decor items, such as fridge magnets. 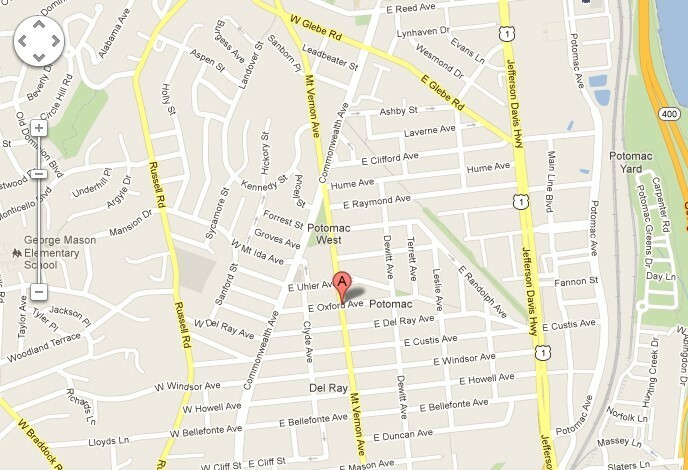 6) Parking is available nearby Nicholas A. Colasanto Center and in the adjacent streets; it is easy to find parking. A lot of space between the opposite sides of the show, easy to walk. Some of the food vendors sell in a separate circle surrounding kids playground and music arena. There are a few mobile bathrooms nearby. Throughout the show, there are a few benches along the street where you can sit and rest. 7) There are no electric outlets visible although some of the food vendors have electricity. A lot of sellers only accept cash. Another minus is that many jewelers don’t have big mirrors for customers to see themselves wearing a design. But many have hand-held mirrors and gladly hold it for you while you’re trying things on. 8) The place is guarded by the Alexandria Police. At the end of the show, they start telling everyone to move out of the show site into the sidewalks, as the street is being open to traffic again. This was very annoying. I don’t blame the officers, who only did their job, but rather the City Counsel. My question is – do you want to have some money in the city’s budget or do you want to have streets always open to traffic? As our mayor is up for re-election soon, I don’t think this was a very wise policy. 9) A bad event happened as we were passing by the Del Ray Artisans Gallery. As I understand, there was a scarecrow-making contest during the show. One of these scarecrows was laying on the ground by the Gallery. It was looking like a black man. At this time, an African American woman passed by with her little daughter. Her daughter was asking her to buy her some trinket. The woman said (I quote): “You see that? They put sambo dolls out here. I’m not paying for anything they sell here!” She didn’t look poor at all and could probably afford a lot there. 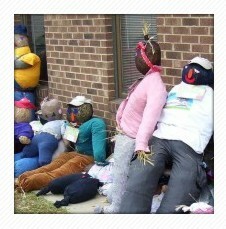 We, too, thought that these scarecrows were extremely stupid and rude idea. How would they react if African Americans put a fat white dude doll there? So, on general the show was not bad, except for a few hiccups. My notion is that City Counsel should wake up and become more sensible and customer-friendly. Also, any signs of racist behavior should be eliminated. We live in a multi-national community and need to respect our neighbors, no matter of their skin color. All images are from the Art on the Avenue show website http://www.artontheavenue.org except for the map, which is a Google Maps screenshot.